TOMRA Sorting Food – a global food sorting system business with its main facilities in Belgium, the United States, Ireland, China and Japan – has appointed us to handle an international public relations campaign. The company designs and manufactures high-performance optical sorters, graders, peeling and process analytics systems for meat, nuts and seeds, dried fruit, seafood, potato products, fruit and vegetables. The machines ensure an optimal quality and yield, resulting in effective use of resources. More than 6,500 TOMRA Sorting Food systems are installed at food growers, packers and processers worldwide. The company has eight international test and demonstration centres where customers can trial systems before purchasing. All solutions are bespoke to each customer’s specific needs. We have been tasked with raising awareness of TOMRA Sorting Food’s technical capability, solutions, product innovations and global service offer across different market segments, whilst also promoting business successes such as new contract wins. TOMRA Sorting Food is composed of two food sorting businesses, ODENBERG and BEST, acquired by Norway-based TOMRA Systems ASA, a pioneer in sensor-based systems for reverse vending, recycling and mining. The Oslo Stock Exchange-listed company first purchased ODENBERG in 2011, which was founded in 1968 and is located in Dublin, Ireland, closely followed by BEST in Leuven, Belgium, which was established in 1996. Brand8 PR managing director, Rob Smith, said: “TOMRA Sorting Food is a fascinating business with a genuinely compelling proposition. 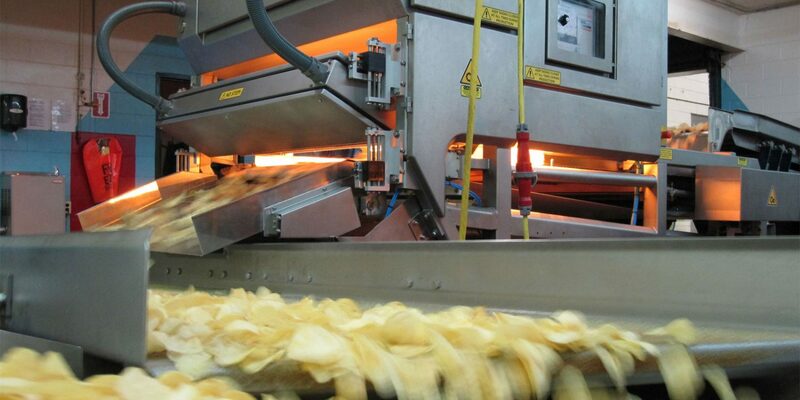 The company’s optical sorting systems are able to get higher yields from the food they sort compared to other methods, meaning that there is much less waste. In overall terms, at the volume of the food the systems deal with, this is of significant benefit to the global environment.